№29723208 Russia, Samara, July, 2018: a Cossack girl rides a horse and performs tricks. №29723035 Russia, Samara, July, 2018: a Cossack girl rides a horse and performs tricks. №29723189 Russia, Samara, July, 2018: a Cossack girl rides a horse and performs tricks. №29723043 Russia, Samara, July, 2018: The Cossack rides a horse and performs tricks. Possession of pike. №29723216 Russia, Samara, July, 2018: a Cossack girl rides a horse and performs tricks. №29723197 Russia, Samara, July, 2018: a Cossack girl rides a horse and performs tricks. №20392707 RUSSIA, MOSCOW - 18 DEC, 2014: Performer is doing tricks and standing on the head on a cylinders at Aquamarine circus. №20405207 MOSCOW - MAR 02: Jump rider with acrobatic tricks on the festival extreme sports Breakthrough 2013 in the arena of the Olympic Sports Complex, on March 02, 2013 in Moscow, Russia. №29723205 Russia, Samara, July, 2018: The Cossack rides a horse and performs tricks. №29723186 Russia, Samara, July, 2018: a Cossack girl rides a horse and performs tricks. 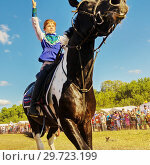 №29723213 Russia, Samara, July, 2018: a Cossack girl rides a horse and performs tricks. №29723194 Russia, Samara, July, 2018: Cossack girls ride horses and perform tricks. №29723202 Russia, Samara, July, 2018: The Cossack rides a horse and performs tricks. №29723210 Russia, Samara, July, 2018: a Cossack girl rides a horse and performs tricks. №29723191 Russia, Samara, July, 2018: The Cossack rides a horse and performs tricks. №29723199 Russia, Samara, July, 2018: a Cossack girl rides a horse and performs tricks. 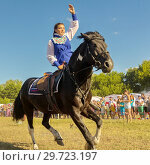 №29723207 Russia, Samara, July, 2018: a Cossack girl rides a horse and performs tricks. №29723188 Russia, Samara, July, 2018: a Cossack girl rides a horse and performs tricks.